To create and power your customer conversation. Contact our conversation management software experts today! What is a Conversational Technology and How does it work for your team? 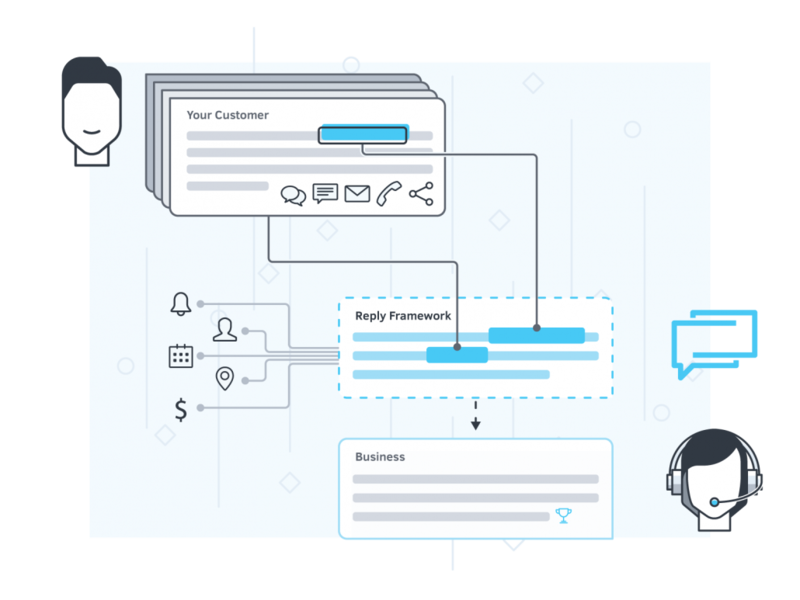 Woveon understands in real-time customer conversations, we use the entire customer behavioral, interaction and backend CRM, Sales and Support systems to craft highly intelligent and optimized responses. Result: Save time, optimize conversations for more sales and have your teams respond to customers faster and accurately. Powered with our unique Woveon AI we learn from past customer conversations and interactions to suggest responses that have worked to create a sale or a loyal customer. You know how every time you have to dig through hundreds of emails and conversations to find out what happened and then figure out how to reply appropriately, well Woveon helps decide the tone, language style and channel to respond, in fact, you’re customers will love that fact you know them better now! Power your teams with millions of customer conversations analyzed to produce the optimal response for your loyal customers at the right time. Understand what conversations will lead to a sale or close an issue fast. 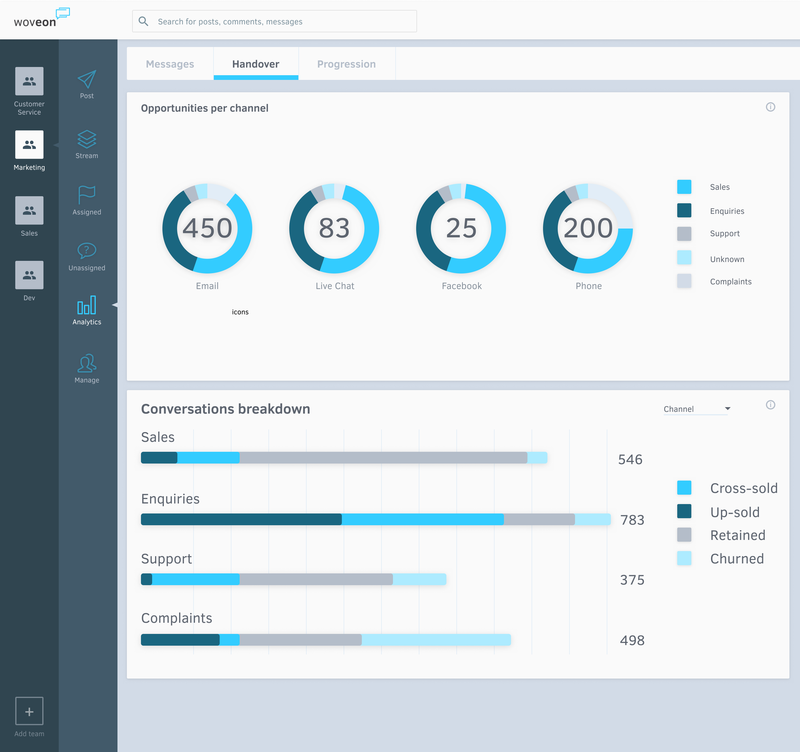 Enterprise conversation data analytics that understands your existing communication systems and channels to produce powerful reports to understand the up-sell, cross-sell and value add opportunities across your channels. Our next generation enterprise release with even more powerful intelligent responses. 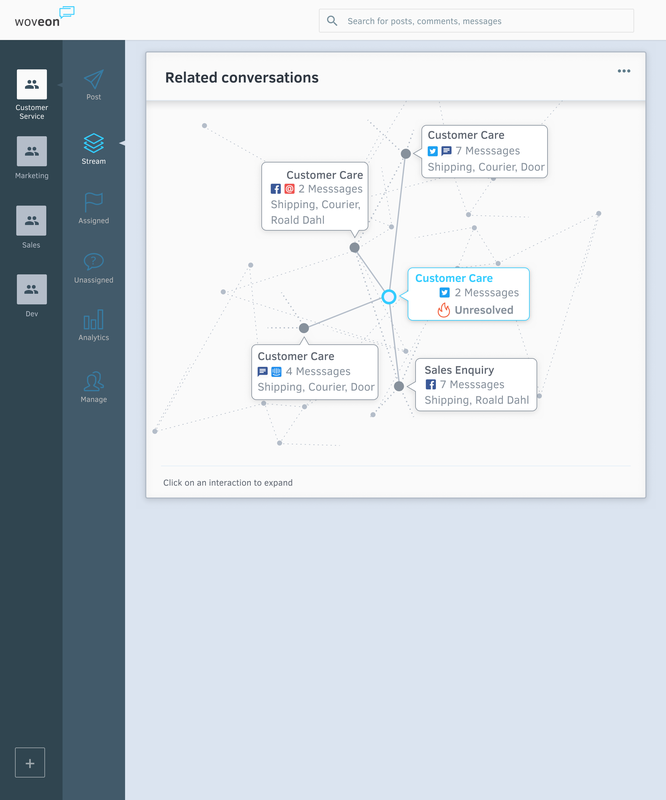 For Enterprise users who are overwhelmed with customer conversations, Woveon pulls together all the emails, chats, SMS, phone and social messages into one place using AI and machine learning. Our single customer view interface revolutionizes the way teams can generate segmented customer data for building brand loyalty, increase sales conversions and reduce the time to respond. Using AI and Machine Learning, Woveon learns as your team takes on more customers.